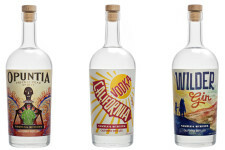 From the day we began designing and building our still in 2011, the Ventura Spirits mission has been to use the natural and agricultural bounty of California’s central coast to hand-craft novel and delicious spirits. We’re driven by a sense of exploration and discovery, and we’re passionate about creating liquors with inputs that are unexplored or underutilized. We aim to contribute to a regional spirits tradition with extraordinary new products that foster a strong appreciation for our area of the world. All Ventura Spirits are a sublime mix of the wild and the cultivated. Our approach to distilling constitutes a challenge to ourselves and to our customers– to be more curious, more creative, and better consumers of distilled liquors, to strain against the status quo and assemble new inputs and combinations in a delightful and authentic way.